After Police Banging Murugadoss House At Midnight !! Here’s What The Director Is Upto !! As expected Political opposition has emerged to A.R. 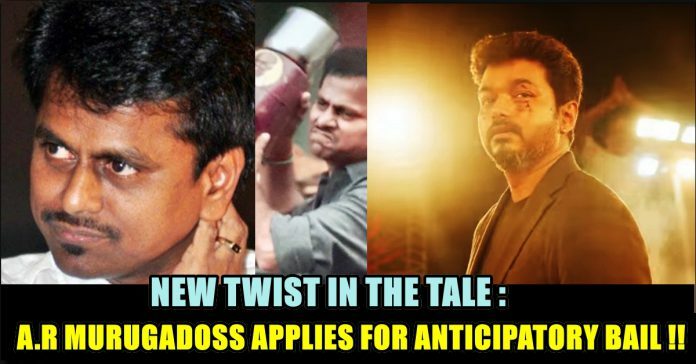 Murugadoss’s movie, starring actor Vijay, over scenes depicting angst against the freebie culture in Tamil Nadu and certain “undesirable references”–as claimed by AIADMK leaders and sympathisers–to former Chief Minister J Jayalalithaa. 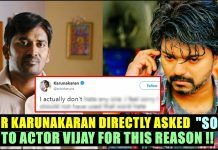 Actor Vijay’s previous movie Mersal turned controversial following BJP leaders in Tamil Nadu objected to scenes criticising dialogues against the Goods and Services Tax system. Now the next film of Vijay Sarkar released on Tuesday, is a movie about a high-flying NRI entrepreneur hunkering down to clean up the political system in Tamil Nadu after he finds out at the polling booth in an election that his vote has already been cast. Last night to our shock, a shocking series of tweets emerged from the verified accounts of production and direction department of the film. It is really shattering to see those tweets which are posted by Sun Pictures and A.R Murugadoss. 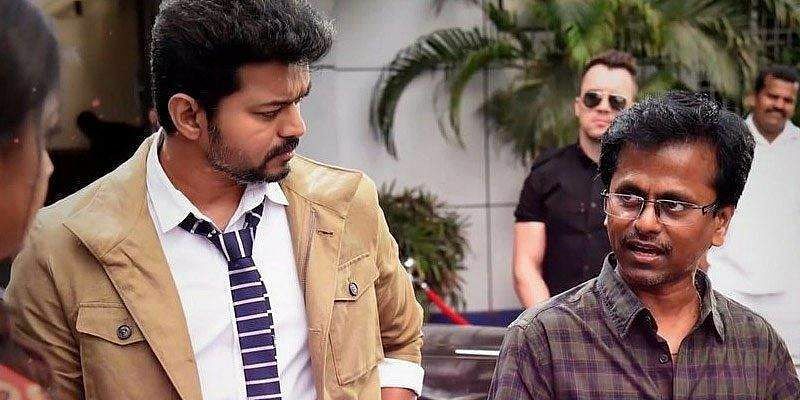 Earlier today we have witnessed a hashtag trending in twitter regarding this issue #SarkarVsTNSarkar. They say that police officers of Chennai went to A.R Murugadoss house to arrest him and they left after knowing that he is not in home. As the film got verified by the censor board and since there is no FIR against A.R Murugadoss there is no source for Police officers to arrest the director. Other side it is also said that it is a normal patrol rounds from Police officers not something targeting the director. In Sarkar, there is a scene where AR Murugadoss sets on fire freebies from political parties. The scene has offended the ruling Tamil Nadu government. 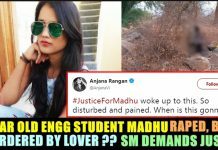 The director of the movie AR Murugadoss has now moved the Madras High Court seeking anticipatory bail, following the huge controversy. Reportedly, several members of the AIADMK party protested outside various movie theatres. The production house Sun Pictures backing the movie has not yet released a statement about the removal of the objectional content. Meanwhile veterans such as Rajinikanth and Kamal Haasan extended their support to the movie and the makers by calling such things as pressure tactics. ‘Sarkar’ is produced by Kalanithi Maran under the banner Sun Pictures. The dialogues were co-written by B. Jeyamohan. The movie features Vijay, Keerthy Suresh, Varalaxmi Sarathkumar, Yogi Babu and Radha Ravi in pivotal parts. The film has already earned over Rs 100 crore globally in just two days of its release. Previous articleADMK’s Atrocity At Kasi Theatre !! 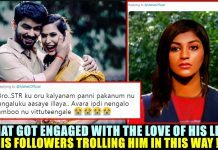 Fans Emotional Response With A WARNING !! 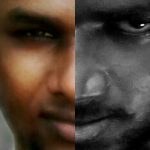 Next articleVikatan Made A Design Like Vijay Holding A Politician In His Shoulders !! Reactions Are Just Hilarious ! !